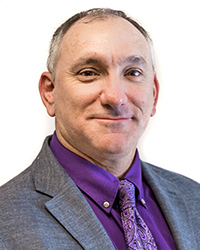 Dr. Gerardi joined the university in 2017. He previously served as the inaugural Program Director of the Occupational Therapy Assistant Program at Brown Mackie College – San Antonio. Other past academic appointments include Visiting Instructor in the Exercise Science Program at Saint Mary’s University; an adjunct faculty member in the Baylor University/U.S. Army Doctor of Science in Occupational Therapy Program; Instructor and Chief of the Occupational Therapy Branch at the Army Medical Department Center and School. Prior to pursuing his academic career, Dr. Gerardi retired from the U.S. Army in 2012, as a Lieutenant Colonel, after a 33-year career. Before discovering occupational therapy, Dr. Gerardi was trained as an Army physical therapy specialist. After becoming an occupational therapist, he spent much of his career working with clients with upper extremity neuromusculoskeletal conditions. He became a Certified Hand Therapist (CHT) and was certified from 2003 until 2012. He has also spent several years working with clients with mental health conditions. He has worked in in-patient psychiatry, substance abuse rehabilitation, and has commanded an Army Combat Stress Control Detachment. Dr. Gerardi has also been active in the American Occupational Therapy Association (AOTA). He coauthored the AOTA Societal Statement on Combat-Related Posttraumatic Stress; served on the AOTA Ad Hoc Group on Disaster Preparedness and Response; served as a member of the American Occupational Therapy Foundation (AOTF) Task Force on Occupation in Societal Crises; and coauthored the original AOTA concept paper on The Role of Occupational Therapy in Disaster Preparedness, Response and Recovery. Dr. Gerardi has published in numerous peer-reviewed journals including the American Journal of Occupational Therapy, Military Medicine, the U.S. Army Medical Department Journal, and WORK: A Journal of Prevention, Assessment & Rehabilitation.